THE CURIOUS INCIDENT OF THE DOG IN THE NIGHT-TIME is the Tony Award winning play by Simon Stephens, adapted from Mark Haddon&apos;s 2003 best-selling novel. It tells the story of fifteen-year-old Christopher, who has an extraordinary brain. He&apos;s exceptionally intelligent but ill-equipped to interpret everyday life. When he falls under suspicion for killing his neighbor&apos;s dog, he sets out to identify the true culprit, which leads to an earth-shattering discovery and a journey that will change his life forever. Winner of FIVE 2015 Tony Awards® including BEST PLAY! Audience Advisory: This production features moments of loud music, bright lighting and strobe effects. Please also be aware that the show contains some adult language and themes. While the musical&apos;s subject is serious, the show will still satisfy theatergoers who love spectacle. It features intimate moments of human emotion while constantly keeping the audience on the edge of their seats with stunts like wall flips and actors suspended in the air. "It&apos;s like ‘Hamlet&apos; combined with Cirque du Soleil," says Adam Langdon, the actor who plays the teenage detective. "It has incredible moments of crazy physicality. This is the most unique and incredible play that&apos;s come around for a while, so it&apos;ll be a great move for everybody to come and see this." 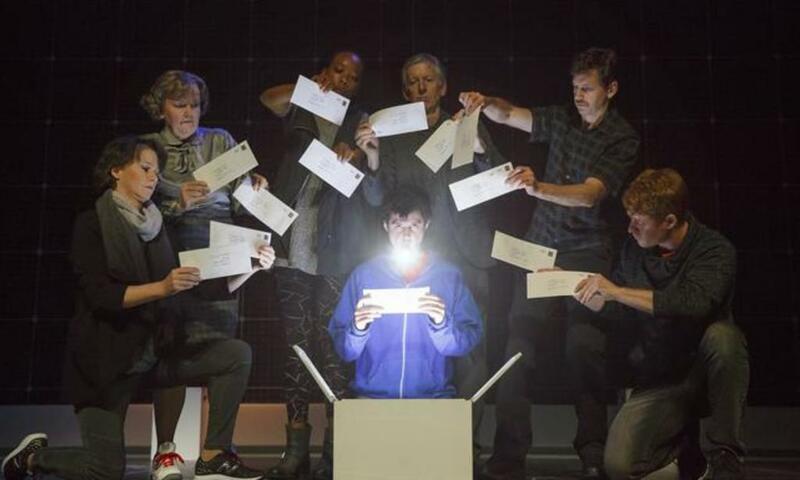 Do what Langdon says and get your tickets to go see THE CURIOUS INCIDENT OF THE DOG IN THE NIGHT-TIME at Segerstrom Center for the Arts. Tuesday - Friday at 7:30 p.m. The 2 p.m. performance on Saturday, September 16, 2017 will include audio description, open captioning and sign-language interpretation. Purchase tickets, starting at $29, online at www.scfta.org or in person at The Box Office, 600 Town Center Drive, Costa Mesa.